Angi of Angelique Ink is someone you definitely want to get to know. Why? Because she has mad calligraphy skills! And she is teaching our first ever Calligraphy Class here at the Brea Gallery on March 25th! Angi is a Southern California-based graphic designer and letterer. She specializes in modern handwritten calligraphy text illustrations. She works for commissioned projects (in the U.S. and abroad) and teaches calligraphy throughout Southern California. Her work can be found in places such as Style Me Pretty, The Knot Magazine, Elizabeth Anne Designs, Wedding Chicks, Le Magnifique, Brides.com, Grey Likes Weddings, Carats & Cake, and more! 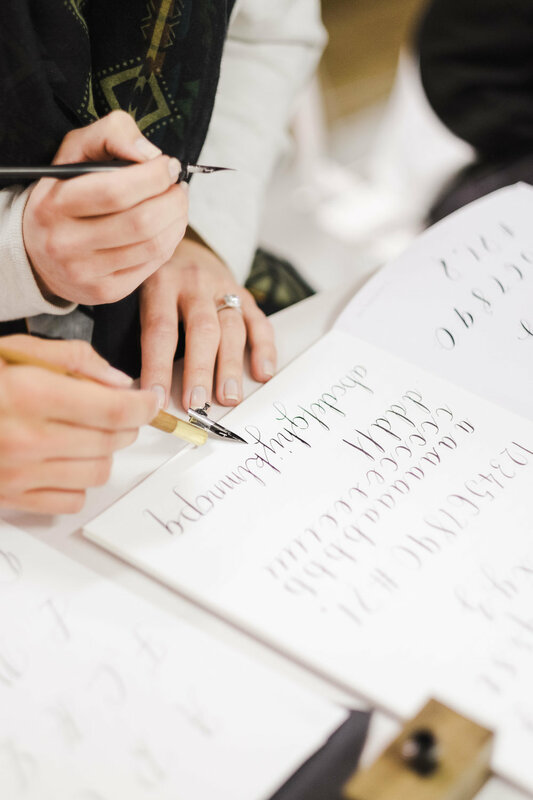 Our Modern Calligraphy Workshop with Angi is on March 25, 2017 from 1pm - 4pm. There are only a few seats left, so sign up today on PayPal or over the phone! To see more of Angi and her work, visit her website and follow her on social media @angeliqueink!